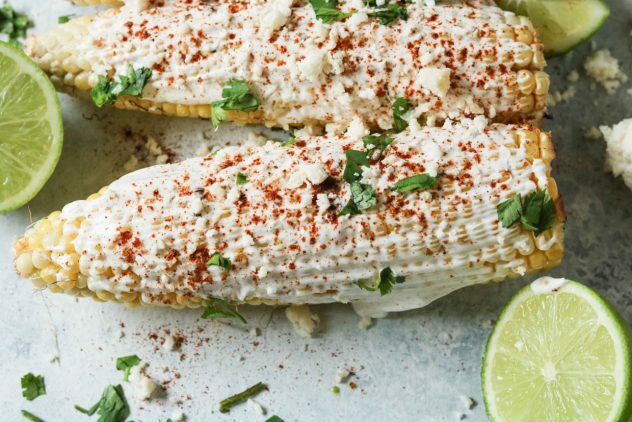 If you haven’t tried grilled Mexican street corn or Mexican street corn for that matter, you are missing out. But don’t worry, I missed out for years, too! I actually used to avoid even trying Mexican street corn because I assumed I wouldn’t like the flavor. I’m not a huge fan of creamed corn, so my fear was Mexican street corn would taste similar to that. It wasn’t until a friend of mine ordered Mexican street corn at a local taco joint that I finally gave it a shot and LOVED it! 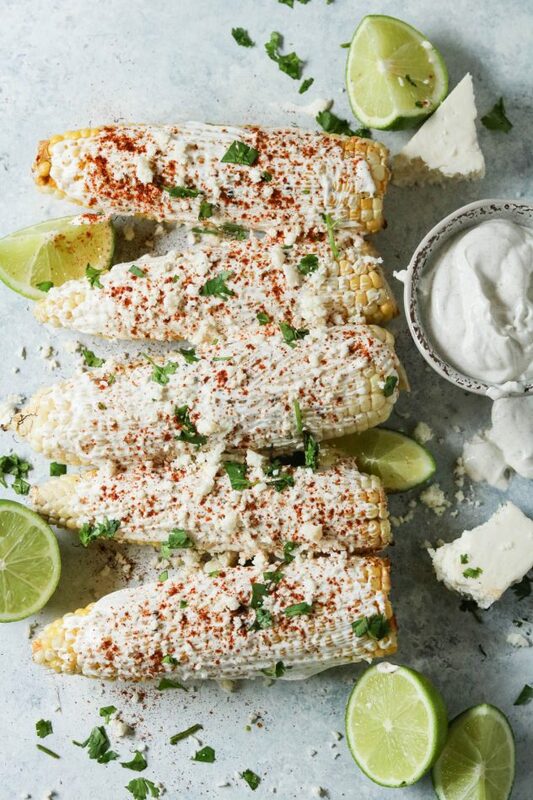 There are several different variations of Mexican street corn, but for me, the cotija cheese was the winning ingredient. Have you tried cotija cheese?!? Oh man, it’s what cheese dreams are made of. The cream sauce, the lime juice, the chili powder, the cotija, I mean what a flavor combination, right?? Grilling corn on the cob is super easy, too, which makes this recipe quick and easy. And as a bonus, you can just cut off any leftovers, add additional cream sauce and have a Mexican street corn salad for leftovers. 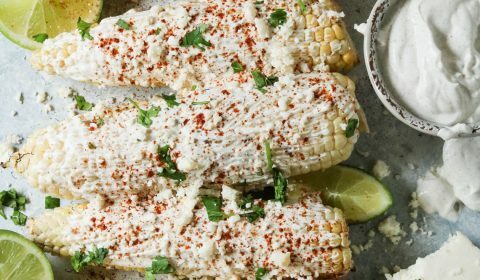 Grilled Mexican street corn is the perfect summer side dish! In a small bowl, combine the mayonnaise, sour cream, salt, cumin and lime juice. Mix well. Remove husks and silk from each ear of corn, add to the grill on medium heat. Cook about 2 minutes on each side, continually rotating until the corn has a uniformed color (about 6-8 min. total). Remove corn from grill. Using a brush, spread the cream sauce over each ear of corn heavily. 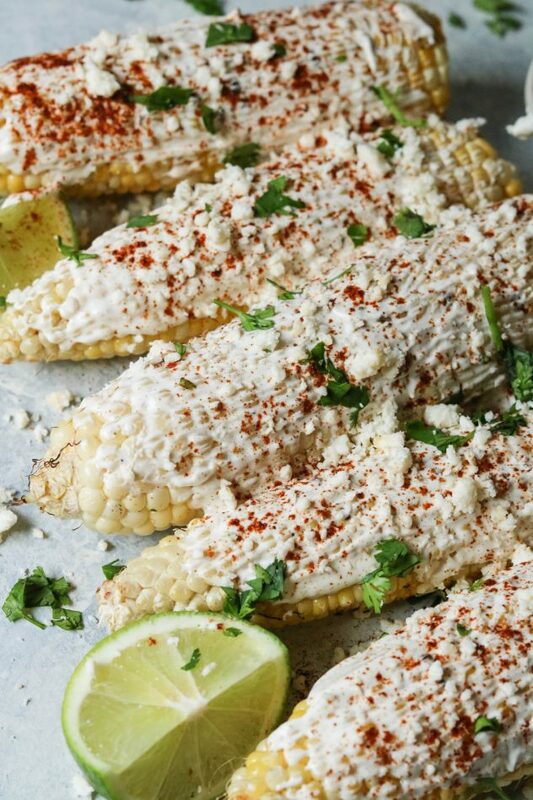 Once covered, squeeze the lime half over the corn. Sprinkle the chili powder over each ear and then sprinkle the crumbled cotija cheese on top as well.